A study by Franzoni, Scellato et al. 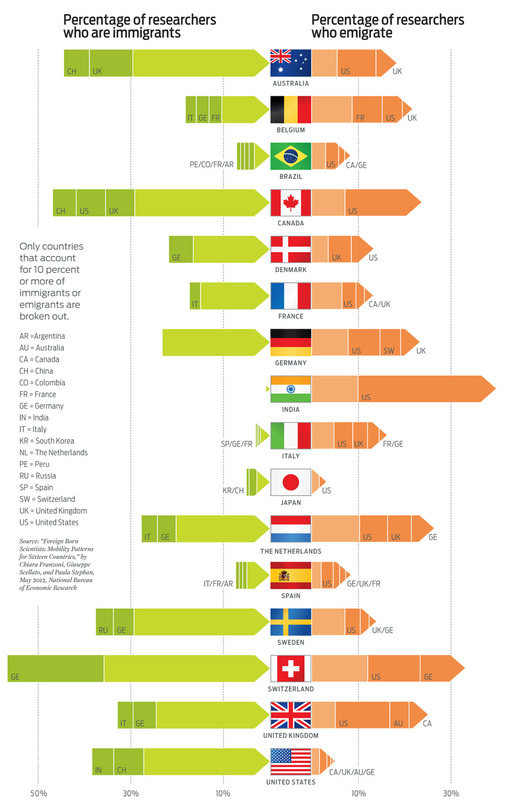 (2012) shows that countries operating strong border controls are more than capable of recruiting scientists from around the globe. Indeed, the analysis shows that Australia, Canada and Australia, all of which have strict entry criteria, have a greater percentage of overseas researchers than either the UK, Germany or France. Indeed, those same countries represent the preferred destination for our own mobile scientists, despite the fact that no free movement agreement operates between our nations. This is yet more evidence that the UK does not need to be part of a political union in order to recruit talented scientists to our shores.